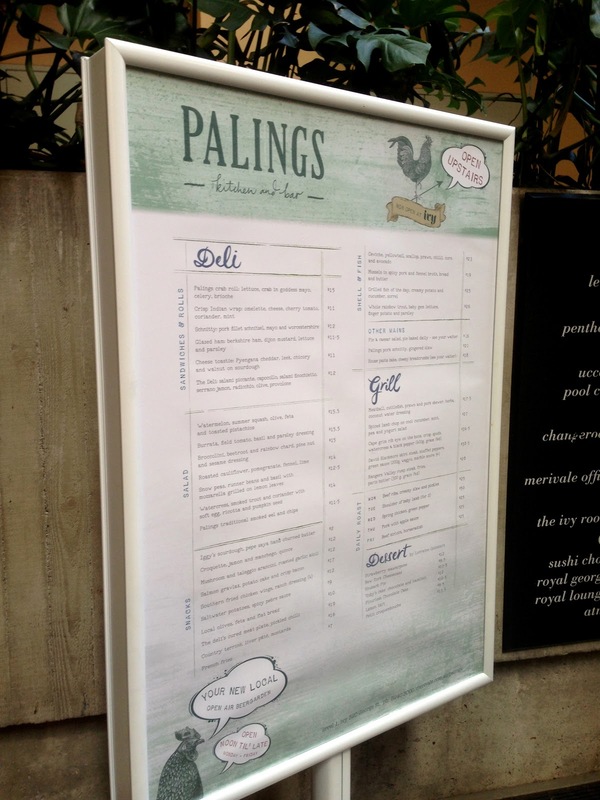 The menu at Palings was surprisingly extensive in its range of options - sandwiches and rolls from the deli, fresh watermelon salads, tasty snacks, mains from the grill, desserts...the list goes on. I felt so overwhelmed with the choices on hand that I had to ask the waiter what his recommendations were. He mentioned that the lamb was fantastic however personally as I don't like lamb, we had to give that a miss. 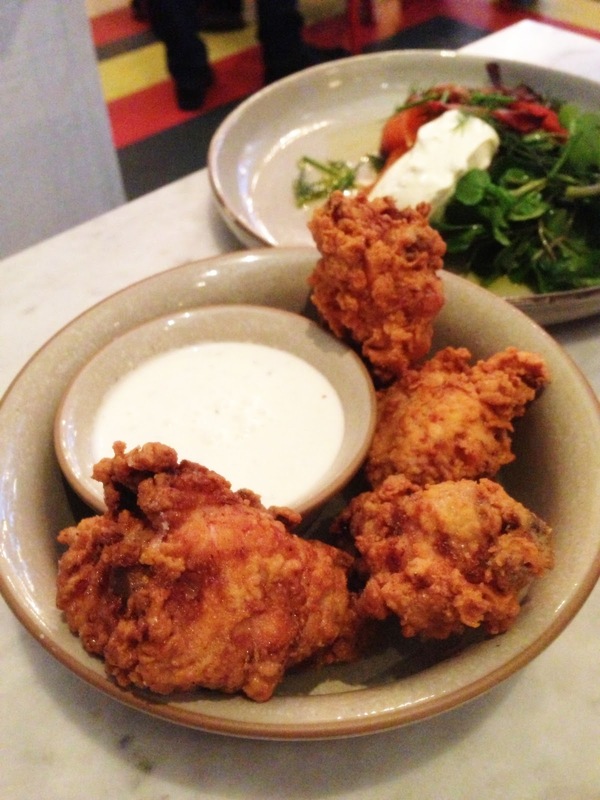 We started off with some Southern Fried Chicken Wings with Ranch Dressing ($12). Upon first bite, I was super excited as the crumbly batter of the crispy skin resembled that of my beloved KFC however, after the second bite, I realised it was a tad salty. And then the third bite followed with another punch of saltiness. This elevated throughout the subsequent bites we had...we were beyond disappointed! It got to the point where we simply couldn't finish it as it was SO SALTY. Extra-glasses-of-water-were-required salty. M was keen on ordering the Salmon Gravlax, Potato Cake and Crisp Bacon ($17) and I admit it sounded great on paper, so I agreed. Unfortunately it was another hit and miss. 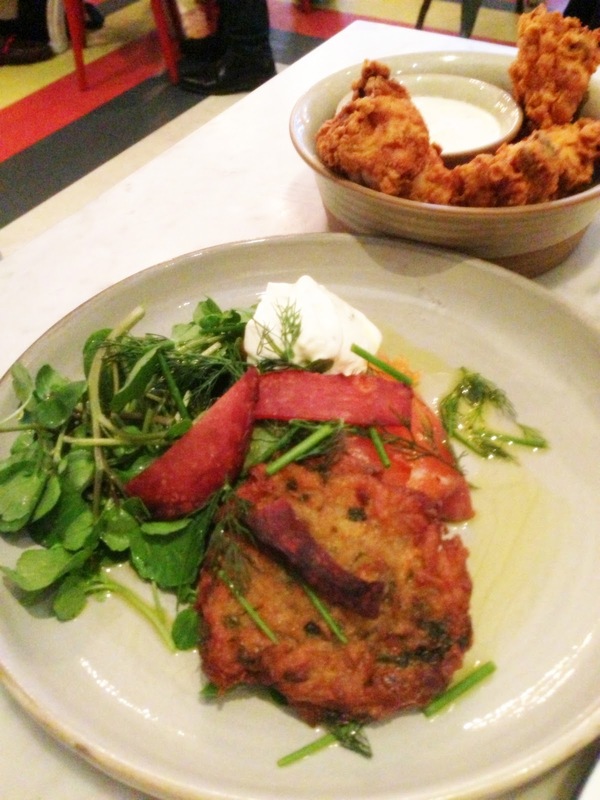 The potato cake was a little too hard in texture and I wasn't a big fan of the salmon. M pretty much finished this dish on his own. However he too agreed it was so-so. 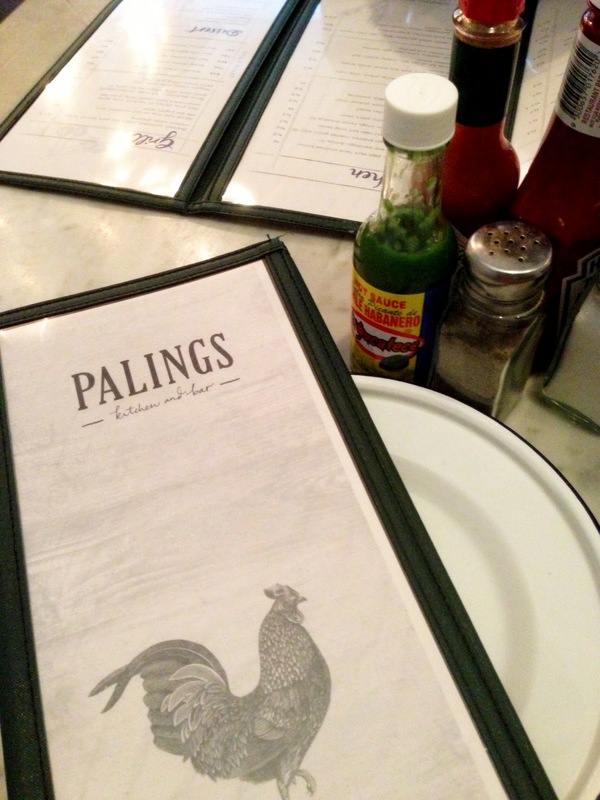 Before Palings opened up, the space was occupied by Mad Cow and the steaks were amazing there. 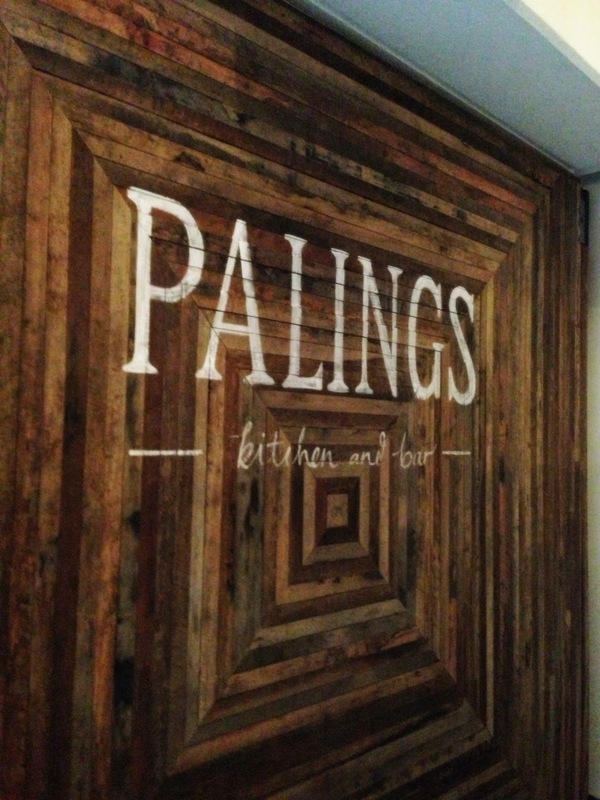 So when I heard that the same chef worked the kitchen for Palings (Chef Christopher Whitehead), I thought the steaks must be just as good here. 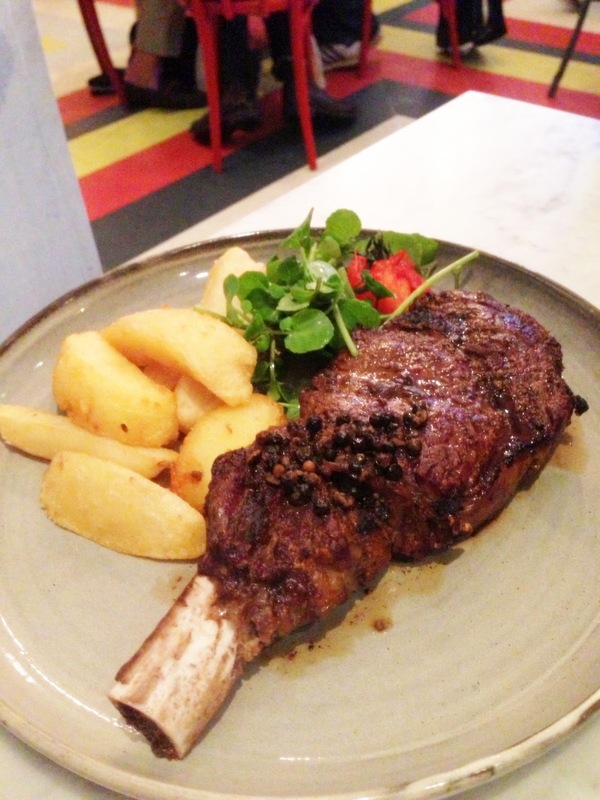 We ordered the Cape Grim Rib Eye On The Bone (400g Grass Fed) with Crisp Spuds, Watercress and Black Pepper ($34.50) and it was cooked a perfect medium rare, with meat that was juicy and succulent. However, the same problem occured. It was too salty. By this stage, both M and I got a bit frustrated..."How could you stuff up steak" we thought. I had heard positive reviews on the desserts here however we were a little hesitant after all that saltiness from the previous dishes - surely dessert can't be salty too?!?! And thank god it wasn't. 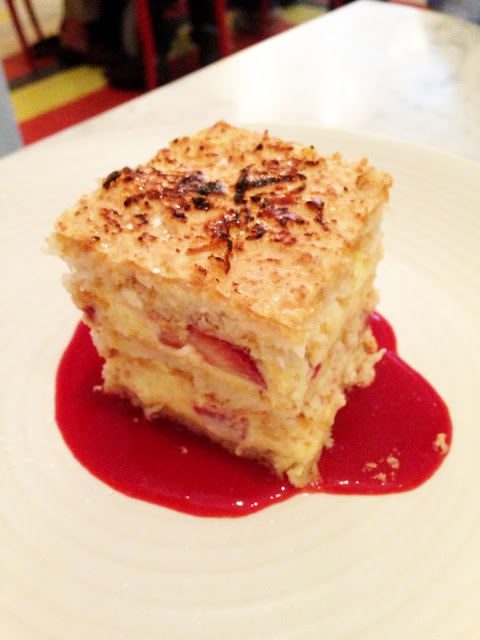 The Strawberry Mascarpone ($12) was a romantic treat that came in its soft and fluffy form with sugary hints of coconut flakes, custard cream and strawberry. Texturally beautiful, smooth and indulgent, this was a delicious dessert! Overall, suffice to say we were pretty dissatisfied with our experience at Palings. It's a real pity that the food wasn't 100% for us that night as the ambience and decor scored top marks. 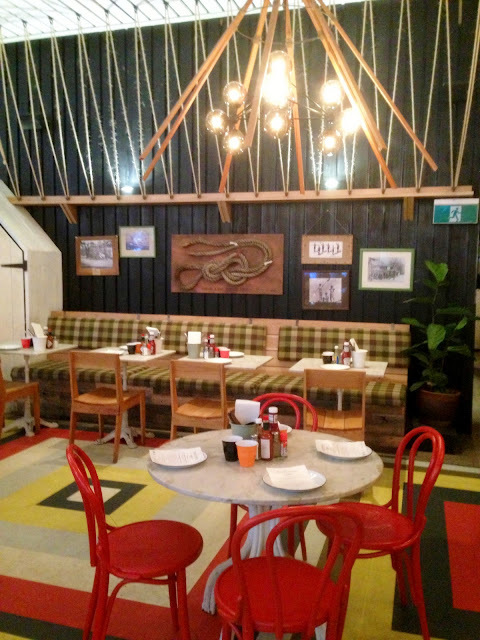 I loved the open-air beer garden as well as the comfy indoor spaces that was bright and filled with pops of colours. The place was buzzing with people and had such a chilled and laidback atmosphere - definitely a hot spot for after-work drinks! If I was to return, it would definitely be for drinks and dessert. Despite the food being not so great for us, I must say the service was absolutely fantastic. Staff were very professional and attentive - as you would expect in an establishment like Ivy. But seriously, all that went through our heads that night was, "HOW CRAZY DID THE CHEF GO WITH THE SALT SHAKER?" Sigh...it was just one of those nights!